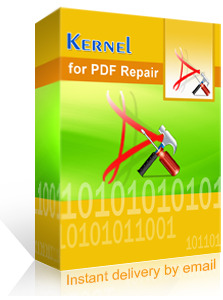 Instead of downloading the Demo version of the software, you can send the corrupt PDF file(s) to us. We will analyze the files free of cost and let you know how many pages or how much data is recoverable. Then you can take a decision on using our Repair Services or buying the software. *if the PDF file size is above 20Mb, please drop an email to support@nucleustechnologies.com and we will provide you a secure FTP link, through which you can upload the file directly to our servers so that our Technical team can analyze it in our lab. Please Note: * You files will be safe and secure, and the confidentiality of the files will not be compromised under any circumstances.